The Sarawak layer cake is traditionally served in Sarawak, Malaysia on special occasions. In the Malay language, the cakes are known as kek lapis Sarawak, Kek lapis moden Sarawak, 'or simply Kek lapis. They are often baked for religious or cultural celebrations such as Eid ul-Fitr, Christmas, Deepavali, birthdays and weddings. According to the history, layer cakes have been made in Jakarta, Indonesia since the 1970s and 1980s. During that time, Betawi people came to Sarawak and taught the people, how to make the spiced Betawi cake. 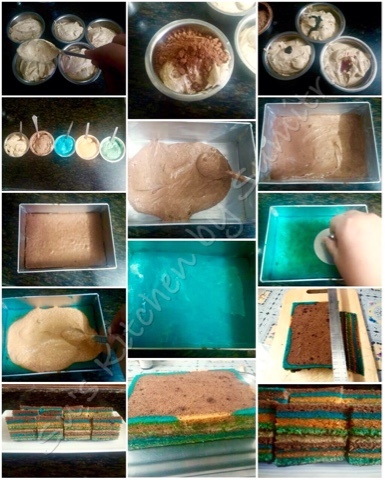 The Sarawak people then added new ingredients, flavour and colour that resulted in a new version of the layer cake been introduced and named as Sarawak layer cake. 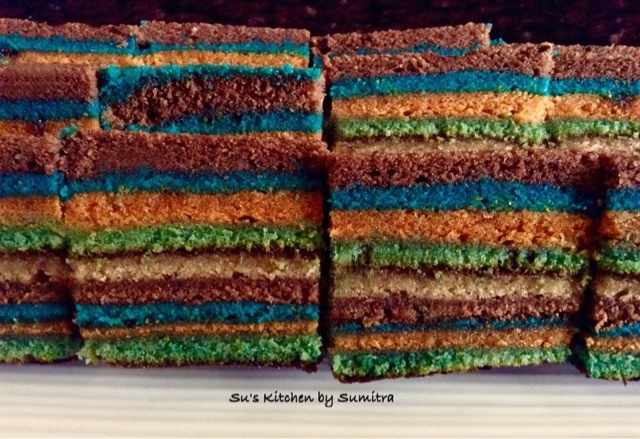 In addition, modern Sarawak layered cakes were inspired by Western cake-making in the early 1980s. In 2011, cake maker Kek lapis Qalas Qalas introduced modern design to the traditional layer cake, along with new flavours. Sarawakian modern layered cakes can be divided into two categories, cakes with ordinary layers and cakes with patterns, motifs, or shapes. All must have at least two colours. The cake can be baked in an oven or microwave. The batter is made from butter or vegetable oil, milk and eggs, it requires a strong arm or electric mixer to beat the ingredients together. The baked cake has a high, firm texture and the layers are fastened together with jam or a similarly sticky sweet substance. More detailed cakes often require special moulds to maintain the perfect layer thickness. Here is my version of this recipe with the ingredients available in my kitchen. 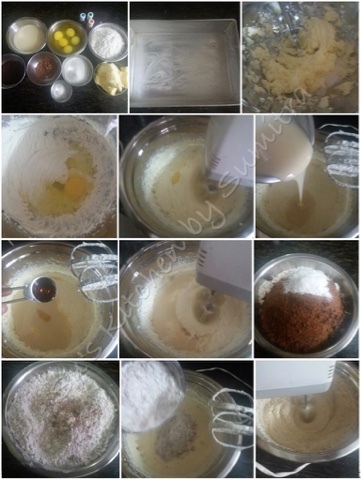 P. S. 2 tbsp batter will remain which can be baked in a small bowl.